Susana Santos Silva has teamed up with fellow Portuguese bassist, Goncalo Almeida and Canadian drummer Greg Smith for Lama. This trio has seemingly conjured up one of the most superb debuts, Oneiros, in the last few months. Silva shows really diversity during this session which is more experimental and ethereal in parts. "Alguidar" opens with a rousing Latin march beat from Smith which moves quickly into some breathy atmospheric work from Silva before the trio settle into calm melody which later sees some exchanges between Almeida and Silva. The piece then settles gently with crackles, pops and jagged notes into its conclusion. "Overture for Penguins" starts off like something off an early Chris & Cosey album moving through a number of changes and tempos. 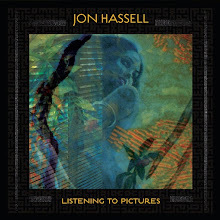 All this while each musician demonstrates a rich and highly versatile sense of improvisation. Almeida delivers a lovely solo shortly before the end that is soft yet penetrating. The melodic and touching qualities of Silva's playing and the calm pacing present by Almeida create an uplifting atmosphere around "Melodia Minuscula" that is refreshing as it is enveloping. There are moments where you could mistake this trio for John Zorn's Masada. The well crafted "The Chimpanzee Who Told" has an fast reverberating Eastern quality to that feels likes a bridge between the musical aesthetics. The piece builds quickly and then plummets into a kind of joyous romp that allows Greg Smith to have a great solo opportunity flying the group outward. "Tarantino" is the most daring piece on Oneiros. Filled with electronics and muted effects its a great display of the diversity of this trio. Silva's trumpet is high in the mix giving a sense of rising climax to the conclusion of really wonderful journey. More seated in the drone sounds of indie rock than experimental jazz but highly effective indeed. I've had Oneiros on sort of a revolving spin in my CD player for the last month. This combined with Santos Silva's debut has been a fantastic revelation for me. Both dense, diverse and exploring the unexpected. 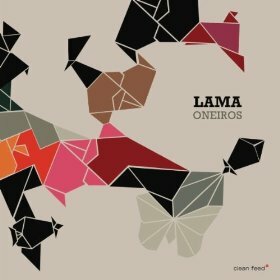 Oneiros is filled with ideas that will want you having Lama record together again and again on a regular basis. Let's hope so. I plead them. Highly Recommended!